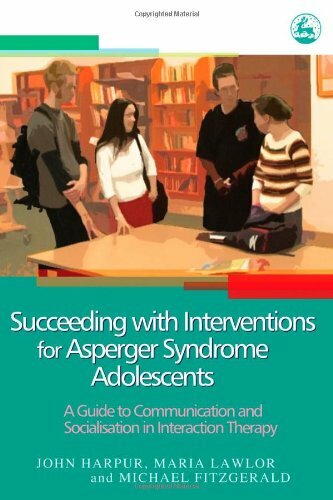 Presents a wide range of useful strategies to address the communication and socialisation difficulties experienced by adolescents with Asperger Syndrome (AS). Using interaction therapy to teach social competence, the authors explain how to design a social skills intervention programme that ensures successful peer interaction. They describe the methodology, philosophy and science behind their approach and give guidance on choosing resources from the variety of available intervention programmes. The authors outline session formats, possible problems and solutions, and emphasize the significance of the therapist's attitude and the role of parents in building social confidence. Case study examples are also provided, as well as a template for a sample course.